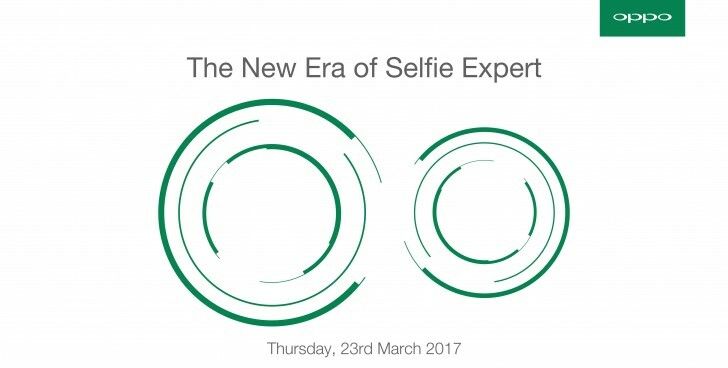 After a few street ads in the Philippines and an official press invite, we are now pretty certain Oppo is preparing to launch the F3 and F3 Plus pair on March 23. From the looks of things, it is almost certain that Oppo is rising up to the dual-selfie challenge, set by vivo, with the V5 Plus family. 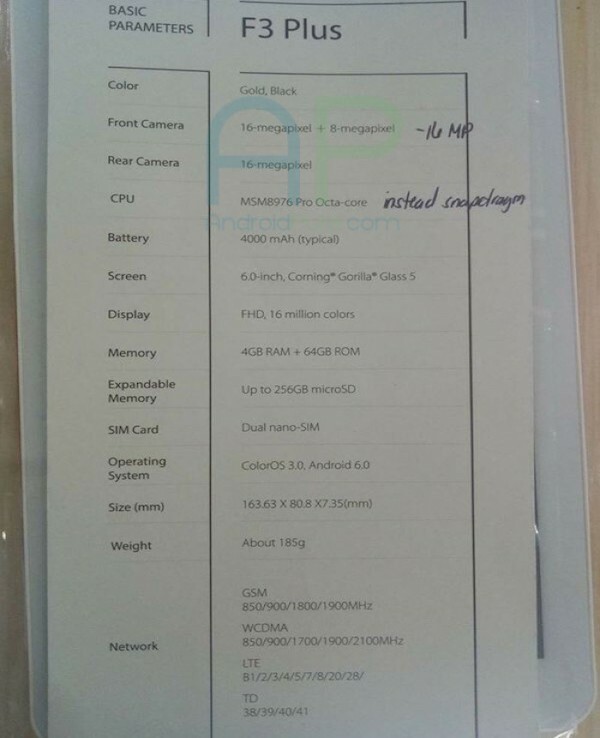 Now there is yet another piece of information to back this theory up and it comes in the shape of an alleged specs sheet for the Oppo F3 Plus. If the leaked shot is to be believed, the F3 Plus will have a dual selfie setup, featuring a 16MP sensor and an 8MP one. The rest of the suggested specs paint a pretty good mid-ranger picture for the Oppo F3 Plus. This includes a Qualcomm MSM8976 Pro chipset, in other words, the Snapdragon 653, coupled with 4GB of RAM and 64GB of expandable storage. We also know the handset's main camera to be a 16MP snapper and a few other details, like dual Nano SIM support and LTE. All this is powered by a 4,000 mAh battery and crammed inside a 163.63 x 80.8 x 7.35 mm body, weighing in at 185 grams. 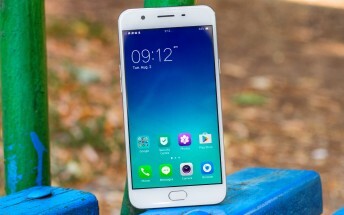 It still remains to be seen whether the basic Oppo F3 will also sport a dual sensor selfie setup. We will find out come March 23.